Up to 15 roads across the borough are planned for repairs and resurfacing in April as the council continues with its planned highways works programme. 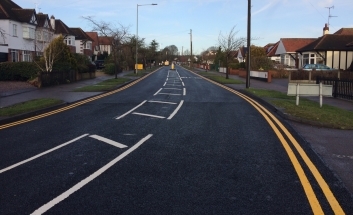 Cllr Andrew Moring, cabinet member for infrastructure, said: “We know that the quality of the roads across the borough is an important issue, and this was highlighted in our Southend 2050 engagement work with residents, from which residents highlighted the need to having high quality roads. If you are aware of any road defects or roads that need resurfacing or patch work, please report these online via MySouthend. Using a technical approach, we use various internal digital surveys to analyse our data on the present condition of the road and also investigate each site visually. From this information we are able to prioritise which roads need to be repaired first.